A photo resolution is the degree of detail an image has. In digital imaging, an image or photo resolution refers to the number of pixels contained in the image. Typically, the resolution can be found multiplying width by length. For instance, a photo that is 3840 pixels in width on 2560 pixels in length has a resolution of 9,830,400 pixels. Or in short: 9.8 megapixels. For more advanced information on photo resolution, please check the wikipedia page here. The PPI measure represents the number of pixels per line per inch in a digital photo. PPI relates to the digital file of the photo and DPI relates to the printed photo. You can read a more exhaustive article on PPI here. DPI is important if you print photos. 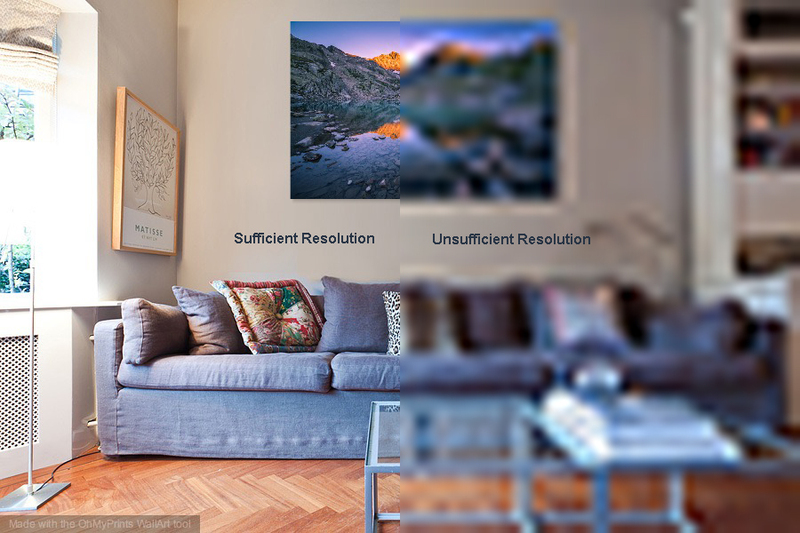 It corresponds to the physical dot density of an image when it is reproduced or printed onto paper or canvas. For a computer wallpaper, phone screensaver or a blog, a small size photo with 72dpi (on the website it would be a Medium size – 1920 x 1280 x 72) resolution will be perfect. To print a photo on a small object like a mug, a medium size photo with a 144 (Large size – 1920 x 1280 x 144) to 150 resolution will be fine. To create a decorative canvas, posters or a photo frame to decorate your home a higher photo size with a 300dpi is the best option (XL or XXL sizes). Typically, the higher the DPI, the better the image’s tonality and the smoother its color blending will be. For a complete guide to DPI resolution please refer to the wikipedia page here.